Valentine’s Day is a wild ride. Astrologically speaking, that is. Mars squares the north node of the Moon. As your ruling planet, Mars takes the ‘bull by the horns’. Whatever karma has been ripping through, you can easily transition to nurturing avenues. Uranus and Mars, together in your sign, are pure animal magnetism. Venus plays a big role in your life. Go ahead and share. There are all kinds of astrological co-minglings, vibing up events here on earth. 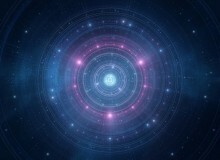 Mercury sextiles Uranus, which brings sudden connections, most unexpected. Luckily, Valentine’s Day is a heart-and-flower occasion. Whether you give, receive, or only view them as you pass by, your ruler Venus feels recognized. Frankly, the more she’s adored, the louder she purrs. It’s perfectly natural to picture yourself on a warm beach with blue glass waves in the thick of winter. The Sun, Dark Moon Lilith, and Mercury all hover in your travel sector. However, more likely to grab your attention is Valentine’s Day. Hearts and flowers have a tendency to pop up, wherever you are. Not to mention endless chocolates. Enjoy what you can – stash the rest. Once again, you’re at the forefront of everyone’s needs. This may not match your personal agenda. However, the stars line up with honest tugs and string tie-ups this week. Excitement prevails, as Valentine’s Day explodes into a sugar rush frenzy. Chocolate and red hearts take center stage. Mercury sextiles Uranus to bring a sudden romantic connection. No one is more adept at putting hearts and roses into a sublime state. Not only red and white, but gold reflects the light you’ve been feeling. Wonder what to do with Mars, as he conjuncts Uranus just before Valentine’s Day? There are a number of scenarios that may be knocked off their pedestals. But the bonus is, they’re replaced with the ones that have the very best fit for you! Details this week could change in an instant. It may seem that’s because winter’s moods thrust up against Valentine daydreams. However, astrologically speaking, this is sparked by Mars’ connection with Uranus the day before hearts and roses begin. Let the stars lead your way. Sudden changes can take you to rather delicious avenues. Change can be exasperating, especially if you’re not expecting it. That’s part of the forecast, with Mars conjunct Uranus just before Valentine’s Day. Receive a call or email with plans turned upside-down? No need to fret or regret. The hearts and flowers that say ‘I love you’ are meant for a special romance, one that will nurture you right down to your toes. Scorpio needs to know their heart is safe and secure before it’s given away. Valentine’s Day is a case in point. This week, Mars is conjunct Uranus. Impatient and to the point, Mars is influenced by Uranus, who wants to change things up in a hurry. You’re happier to keep your feelings private than go out in a blaze of glory. Except, hearts and roses, it’s your turn to choose! Before you give up on heart lollipops, consider fine wine and candlelight. This Valentine’s Day, chocolate is the amuse bouche. If you don’t have the evening of your dreams on your calendar, a practice meal can still be worthwhile. 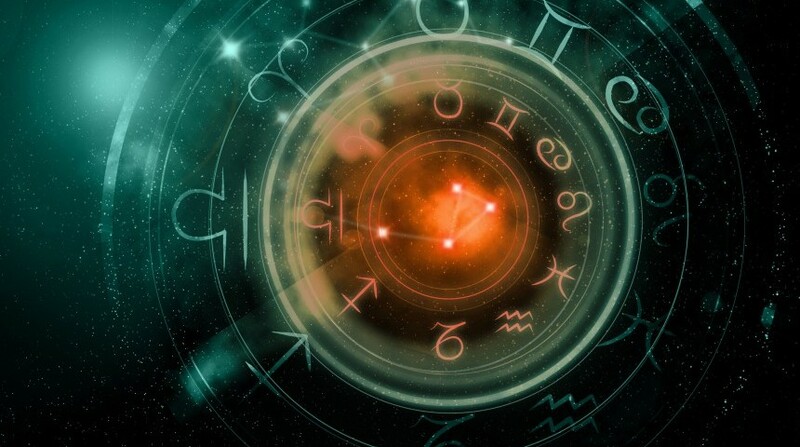 Mars conjuncts Uranus the day before, meaning plans have the potential to short-circuit. You, on the other hand, are flexible. If this Valentine’s loss of conversation hearts has left you in the dark, fear not. You can find your way to a satisfying scenario without losing one nanosecond of nostalgia. Be forewarned – the excitement is in the stars. You won’t be able to change what Mars conjunct Uranus does the day before. Just know they’re preparing the way for you to finally feel the love. As neutral as Aquarius likes to be, it may not be possible this Valentine’s Day. That’s because the stars are all over the galactic map. 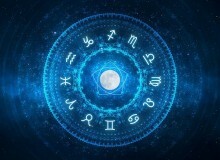 Whether you are hoping for a simple hand-off of hearts and roses, or going for the full monty romantic dinner, Mars conjuncts Uranus the day before. As your ruling planet, Uranus will move you into an electric, but exciting, position. Of all the signs, you can dream yourself the most romantic Valentine’s Day ever. In the midst of your reverie, know that Mars conjuncts Uranus the day before. These two speed up the chase with an unexpected surprise. Keep your hearts and roses lined up, ready to move forward. The spiritual leap you make may take you out of one scenario and smack dab into another.